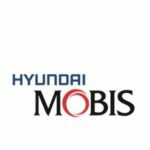 MOBIS Parts Europe N.V. is the European branch of Hyundai MOBIS, a worldwide leading supplier of genuine parts and accessories in the field of automotive. Together with Hyundai Motors and Kia Motors, Hyundai MOBIS is one of the biggest companies within the Hyundai group. In addition to research and development of high-tech products for passenger cars, MOBIS Parts Europe N.V. is responsible for the whole aftersales business of genuine parts and accessories for Hyundai Motors and Kia Motors in Europe.